In January of 2019 Microsoft announced the acquisition of PlayFab, a complete backend of services for building and growing cloud connected games. Seeing that Visual Studio App Center and PlayFab shared common goals, and complimentary services, we started looking for ways we could offer a shared experience to bring greater value and new capabilities to our customers. In the world of mobile development, the ability to send targeted push notifications is one of the tools available to developers to help connect with users. In games, a well-timed push notification can deepen player engagement and increase daily active sessions. Just a few weeks ago, we shipped our Unity SDK and support for Unity in Visual Studio App Center portal. We have been excited to see the reception so far, seeing many new Unity apps created using App Center. To help integrate more seamlessly into the tools you are already using, and make the experience better, the App Center team is happy to announce the release of the App Center Unity Editor Extension. Unity is one of the most popular and recognized game development platforms on the market to date. Microsoft has had a long-standing partnership with Unity, with Visual Studio Tools for Unity being the default installed editor experience for Unity developers around the world. 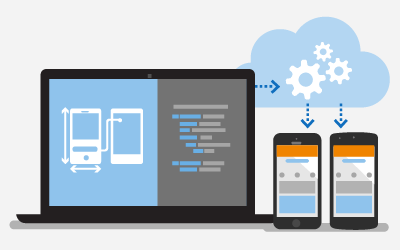 Continuing in our quest to make mobile developers more productive, and better support the apps developers are building, the Visual Studio App Center team is excited to announce the public release of the App Center Unity SDK.